Life, Doctor Who & Combom: Tea at The Ritz with Matt Smith? Geronimo! Tea at The Ritz with Matt Smith? Geronimo! As part of a one-off fundraising event for the National Autistic Society and Ambitious about Autism, entitled 'A Curious Night at the Theatre', there will be an auction of promises - the chance to acquire some pretty unique experiences. Whilst there are many intriguing promises on offer, including a 'Burberry experience' (whatever that might be) and a walk-on part in the stage version of War Horse at the New London Theatre, foremost amongst them for fans of Doctor Who must be the opportunity to have Tea at The Ritz (capitals a must, apparently) with Matt Smith. Produced by director Katy Rudd and actor Luke Treadaway, who played autistic character Christopher Boone in the stage adaptation of The Curious Incident of the Dog in the Night-Time, the one-off event, will be hosted by Mel Giedroyc of Great British Bake-Off fame and will feature a specially written detective story as well appearances (live and filmed) from Bat For Lashes, Dame Helen Mirren, Matt Smith and many more. 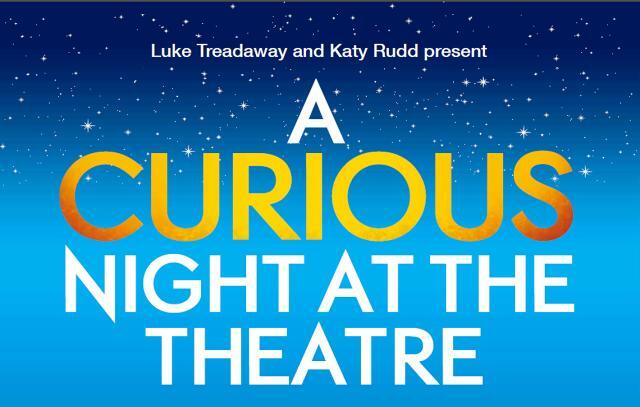 'A Curious Night at the Theatre' takes place at the Apollo Theatre in London at 8pm on 1st July. Tickets start at £25 and go up, up, up from there, but if you want your chance to sip tea with (the actor who played) the Eleventh Doctor, or just want to support a good cause, it will be well worth it. You can learn more about the event at the National Autistic Society's event page and you can order your tickets here.